Break up the surplus of pie this Thanksgiving—gather your guests around the dessert table and let them eat cake. 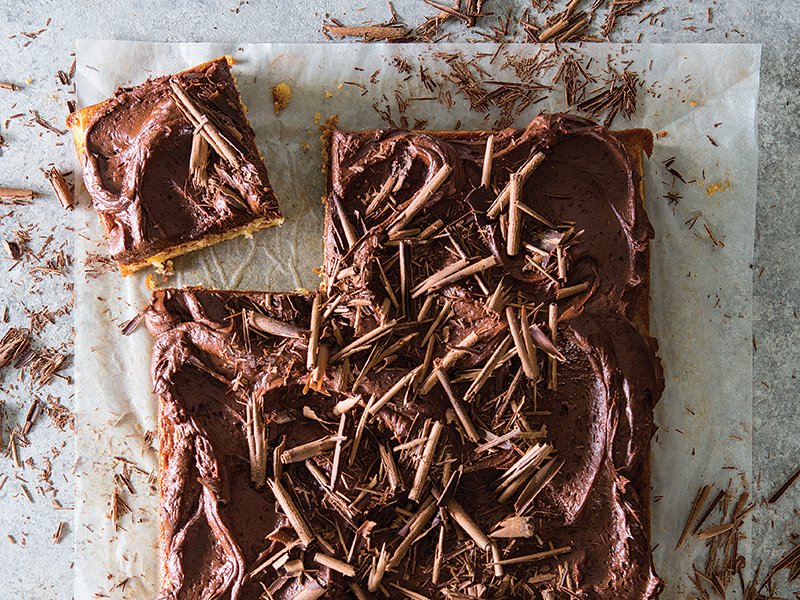 Sheet cake, that is. 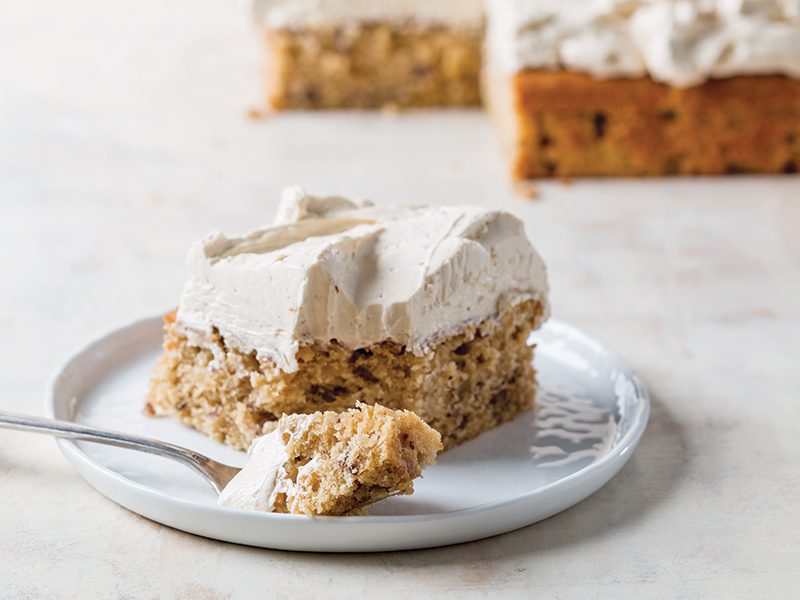 Perfect for the busy host, these one-layer wonders make use of your trusty 13×9-inch pan, coming together in a cinch for a dessert that feeds and pleases the masses. 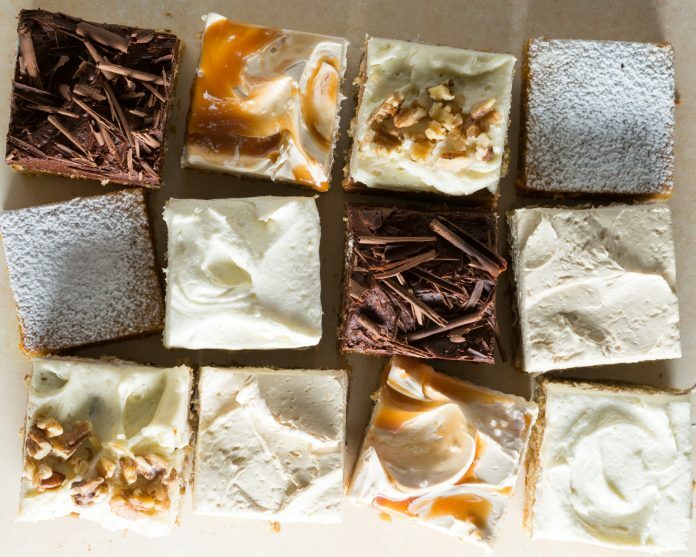 From a butterscotch cake we refer to as the Eighth Wonder of the World, to our pear cake with a luscious shaved chocolate topping, these sheet cakes are anything but flat. 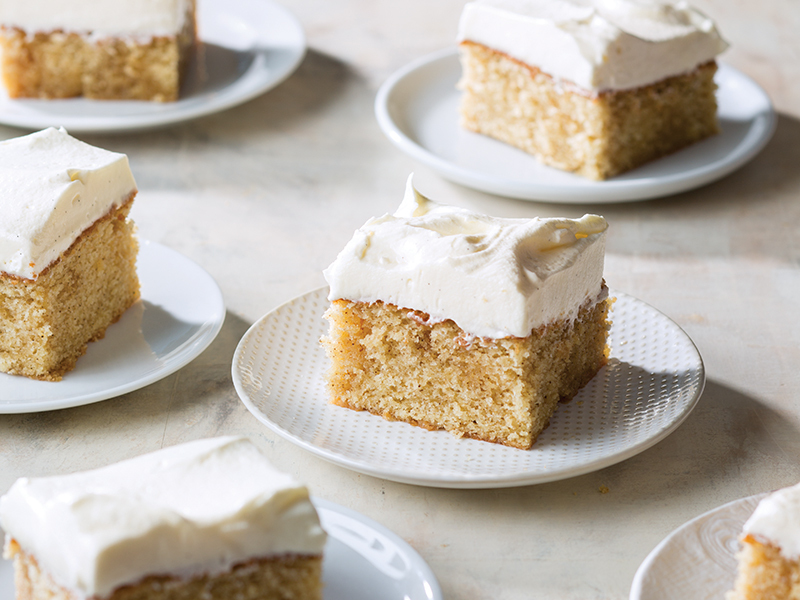 To give this cake a richer maple flavor, we use Grade B maple syrup, which has a stronger profile than Grade A. The label of your syrup bottle will detail which grade your syrup is. A hint of cardamom lends a little heat to this rich buttermilk batter swirled with a fragrant pear spread. Unlike jam, fruit spreads don’t have any added sugar, so they lend a more natural, delicate sweetness to baked goods. If you like your cake extra sweet, though, jam works just as well. 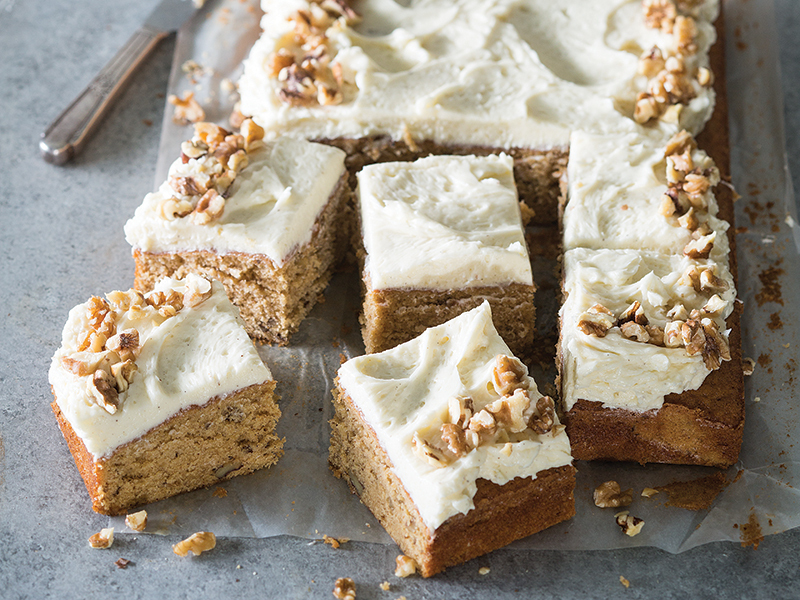 This sheet cake is our answer to those Italian Cream Cake cravings when time is short. 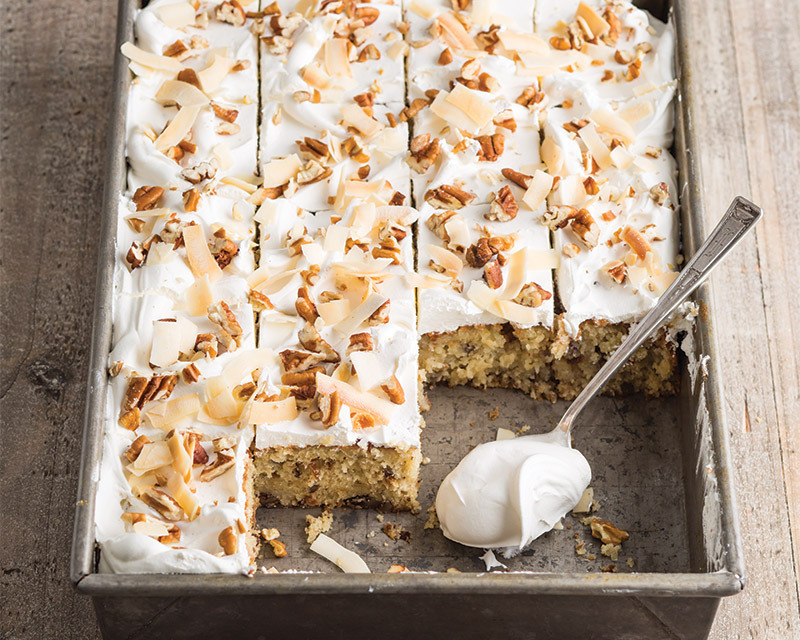 Each bite crunches with buttery pecans and sweet coconut flakes, complemented by a swooping layer of whipped cream on top. 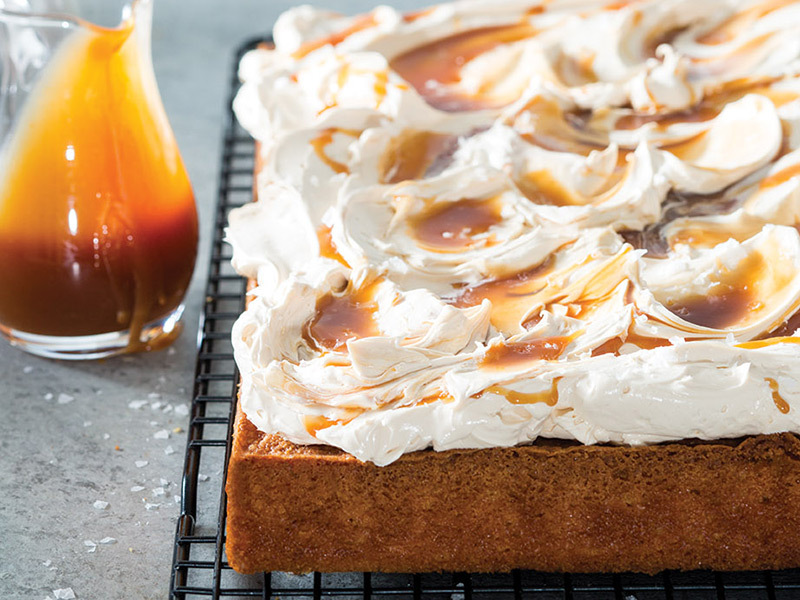 Finished off with a silky Swiss meringue buttercream and a generous pour of salted caramel, this sheet cake is pure butterscotch bliss. 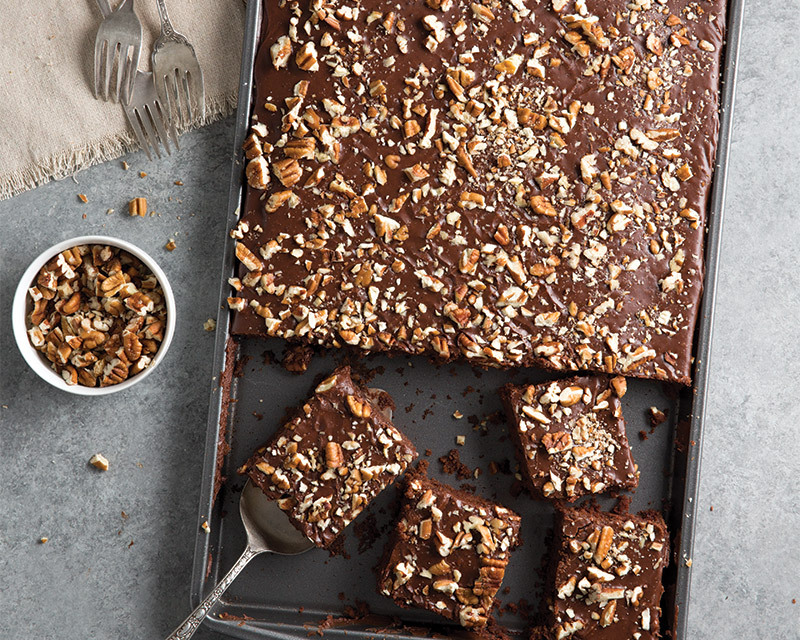 The reigning king of all sheet cakes, this easy Texas Sheet Cake is a chocoholic’s dream. A rich, fudgy cake cloaked in warm chocolate frosting with a sprinkling of pecans for added crunch? Yes, please! 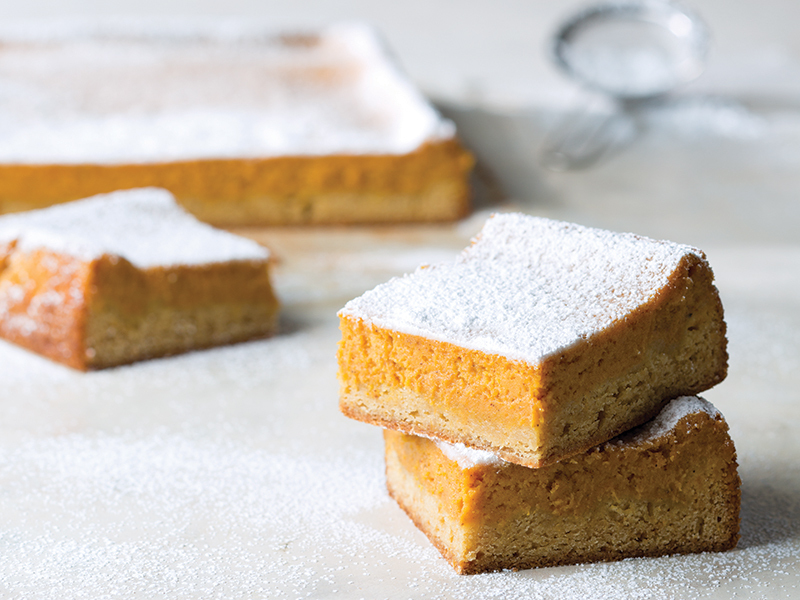 Inspired by the gooey butter cake of St. Louis, Missouri, this Pumpkin Spice Gooey Butter Cake has two textured layers: a chewy brown sugar base and a filling so rich with butter, eggs, and pumpkin purée that the middle sinks down into a creamy, custardy valley.